‘Kuf’ is composed of two elements: one higher and one lower. The higher one seems to represent the sky, while the lower one reminds us of a humble praying person. The letter Kof alludes to the word ‘keddushah’, holiness. 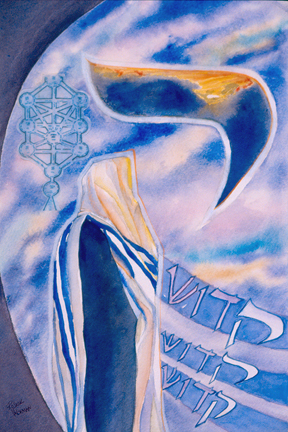 The Torah tells us: ‘Holy shall you be because I am holy‘. Man’s holiness is a reflection of God’s absolute sanctity and purity. To raise his status to keddushah, holiness, man must conform to His commandments.